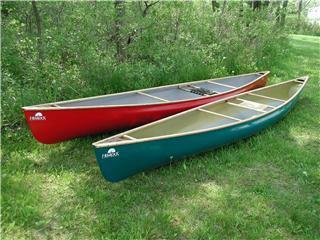 A two model sized series of solo touring canoes designed for lake country travel. 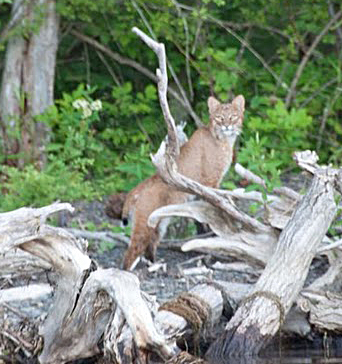 Agility and tracking are blended in these canoes, which are capable of covering long distances with heavy personal loads in many types of water conditions. They paddle easily, covering the same daily mileage as tandem canoes. Innovative above water-line shapes give these canoes increased final stability without sacrificing seaworthiness or comfort. Note the load capacity variations of the two canoes. The Kestrel is the smaller hull and has less wetted surface than the Peregrine allowing it to maintain equal hull speed with a lighter, less strong paddler. The assumption is that the total load will also be less. These are safe, seaworthy, comfortable canoes that will reward appreciative paddlers with outstanding performance. 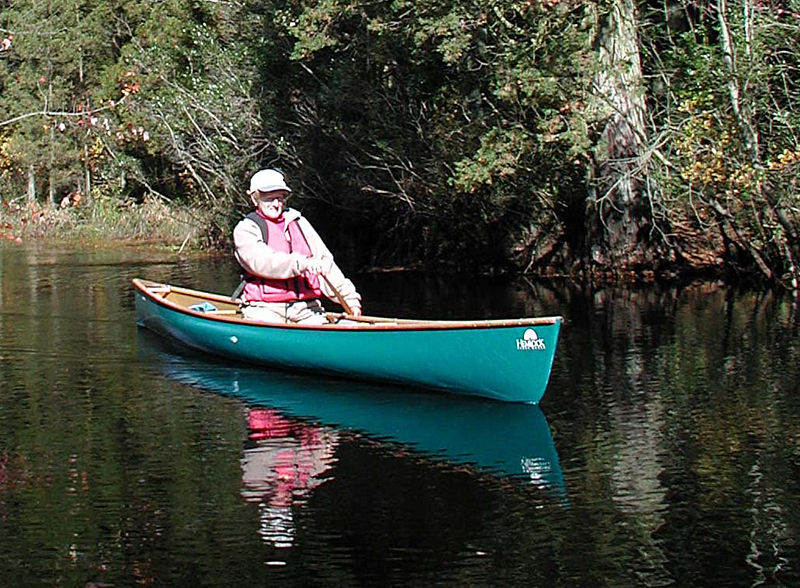 Please go to the page Choosing A Personal Canoe for a more complete explanation of the solo canoe sizing concept. Length : 14' 9" 15' 9"
Hull Width - at gunwales : 25.5" 26.5"
Hull Width - maximum : 27.5" 28.5"
Hull Width - at 4" WL : 25.5" 26.5"
Hull Depth - bow : 16.0" 17.0"
Hull Depth - center : 11.5" 12.0"
Hull Depth - stern : 14.0" 14.5"
Hull Rocker - bow : 1.75" 1.75"
Hull Rocker - stern : 1.25" 1.25"
Avg WT - Kevlar®/Hybrid hull : 32 lbs. 35 lbs. Avg WT - Premium+ hull : 29 lbs. 32 lbs. Avg WT - Premium Lite hull : 26 lbs. 29 lbs. Capacity - Maximum : 300 lbs. 350 lbs. Capacity - Efficient : 125 - 250 lbs. 150 - 300 lbs.